In the bowl of a kitchen mixer fitted with a blade attachment, add the olives, roasted peppers, capers and garlic. Pulse to chop so there are no large pieces. Transfer the olive salad to a small bowl. Add the olive oil and the vinegar and mix well. Set aside. 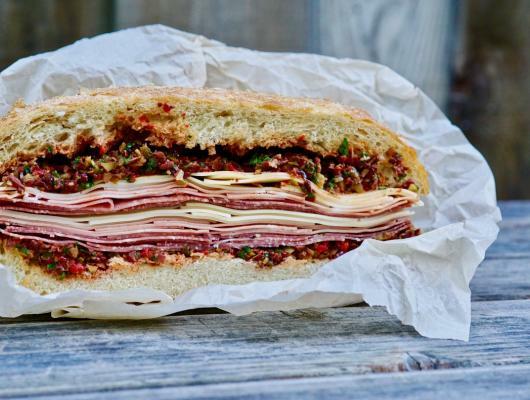 To assemble the Muffuletta, slice the bread lengthwise and scoop out a good amount of the inside if the bread to accommodate the filling. Spread the olive salad (and their juices) generously on both half of the bread. Layer half the salami on the bottom half of the bread, followed by half of the mortadella, half the capicola and half the provolone. Repeat the layering process with the remaining meat and cheese. Place the bread top on the sandwich and press down lightly. 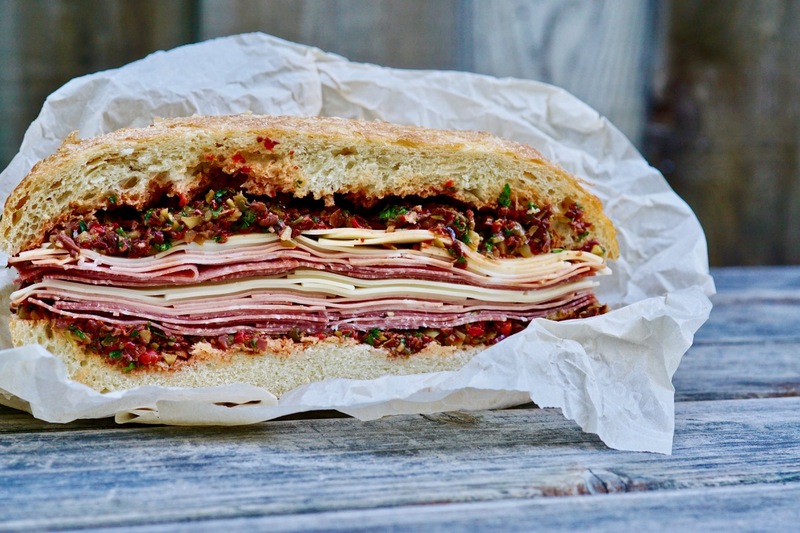 Allow the Muffuletta to rest for 30 minutes so the flavors can blend. To serve, cut into slices or wedges.